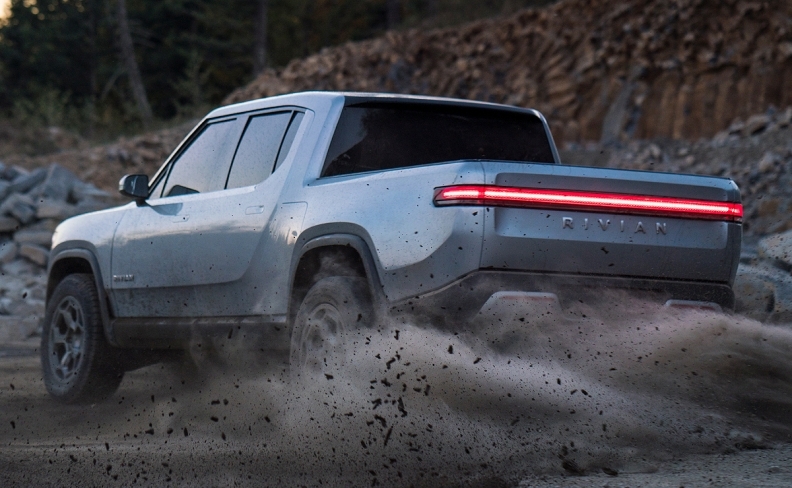 Since its founding in 2009, much of what electric vehicle company Rivian Automotive was up to was done under stealth mode. 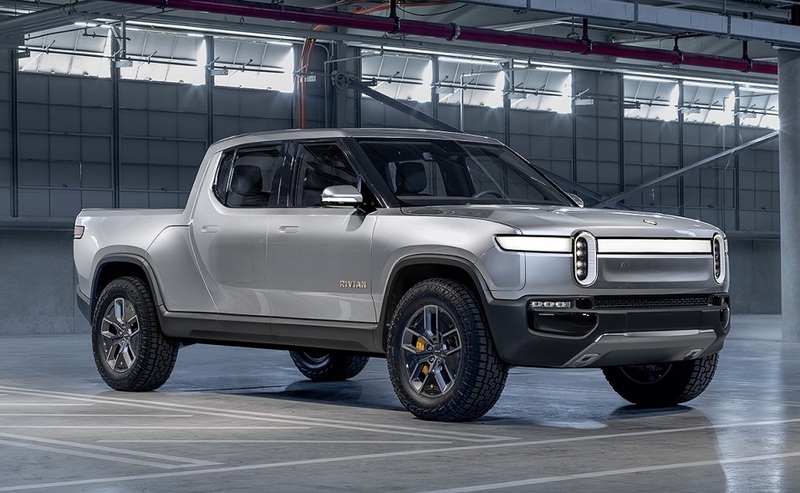 That changes with its first vehicle debut, the R1T electric pickup, shown on Monday ahead of the Los Angeles auto show. 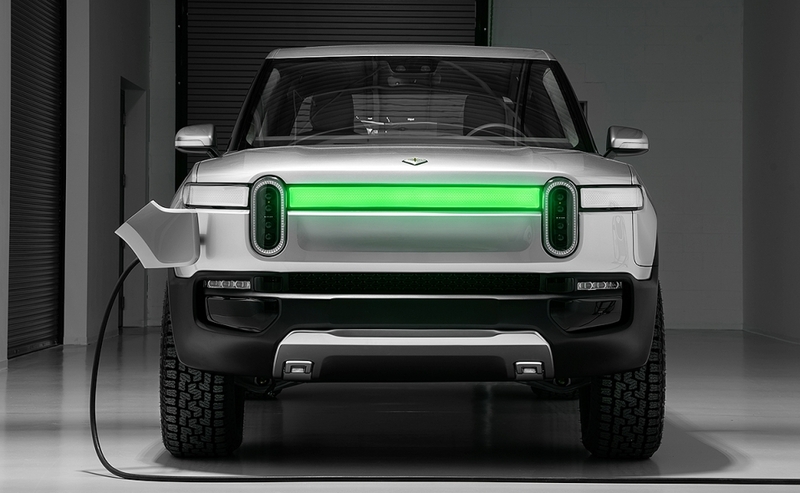 The R1T is to be the suburban Detroit startup company's first model, which would give Rivian a unique offering to stand out in one of the most cut-throat segments in the U.S. market. The vehicle is immediately identifiable as pickup with a wide stance, high ground clearance and beefy tires. But a V-6 or V-8 engine won't be found under the hood. 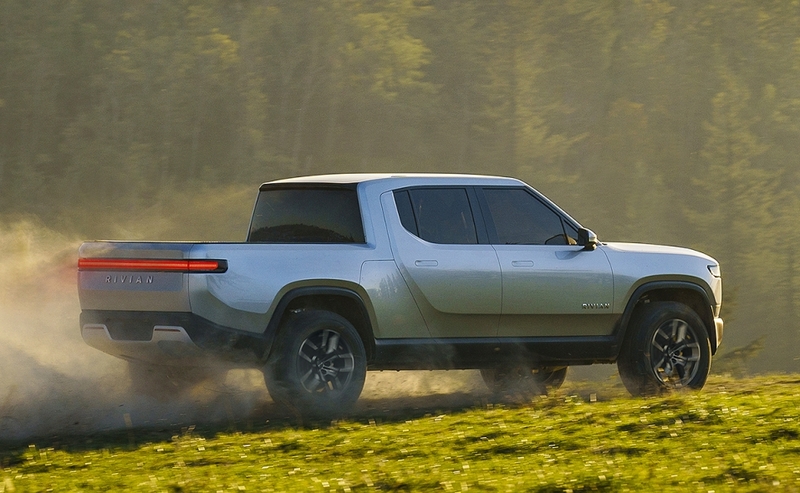 Instead, Rivian says the R1T will be powered by a quad-motor system which sends 147 kW and torque control to each wheel. Rivian's plans call for three battery options: 135 kWh or 180 kWh at launch, with a 105 kWh option arriving 12 months after launch, the automaker said. The 105 kWh battery will have a range of around 230 miles, Rivian says, while the 135 kWh battery equates to a range of 300 miles and the 180 kWh battery gets a range around 400 miles. 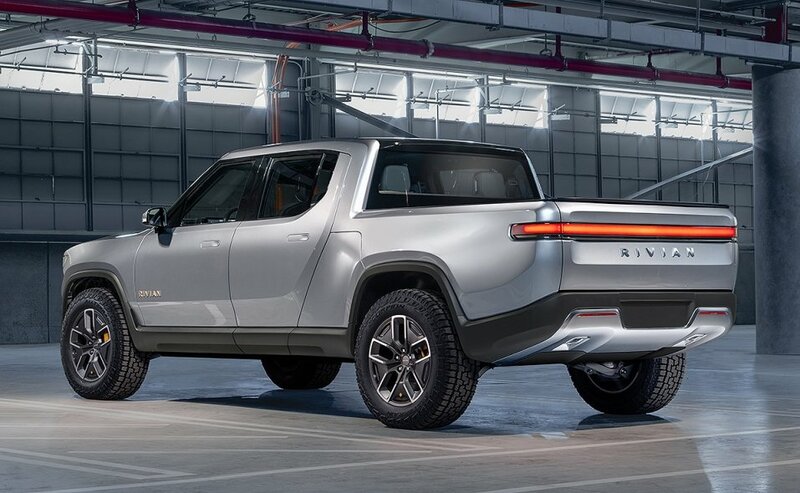 Rivian said pricing for the base model will begin at $69,000, excluding shipping and before a $7,500 U.S. tax credit. The shipping cost has not been announced. The company is taking refundable $1,000 deposits and said it expects to begin deliveries in late 2020. 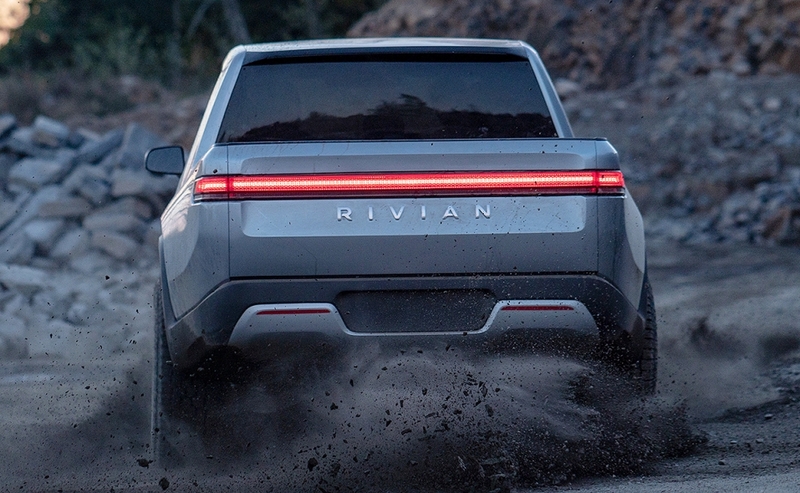 Rivian said the vehicle's battery is designed for fast charging and noted that after 30 minutes of charging, the vehicle will have 200 miles of range. Rivian is using a skateboard platform for its vehicles, which compiles the battery pack, drive units, suspension, braking and thermal system below the height of the wheel, the company said. The company is led by MIT graduate RJ Scaringe, 35, who founded the company after finishing his graduate studies and has so far raised $450 million in funding. Rivian has also hired executives from the likes of Fiat Chrysler Automobiles and McLaren. Rivian will produce vehicle at the former Mitsubishi Motors Corp. plant in Normal, Ill. it acquired last year. The first R1T deliveries are set to begin late 2020, followed by its SUV. Pricing was not announced. 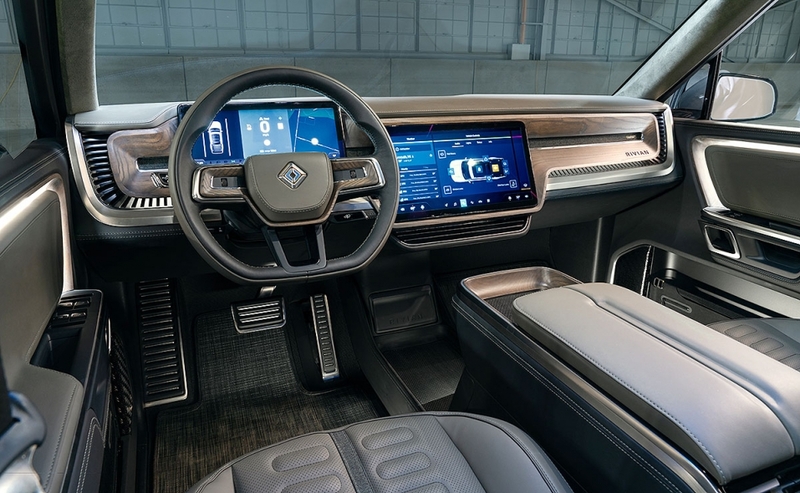 Rivian says the pickup's interior, with room for five, was inspired by contemporary furniture, but also hiking and outdoor gear. The R1T has a simple, if not minimalist, look inside and out. There's a wide light bar with two vertical lights at the front of the pickup, while the rear also has a thin light bar. 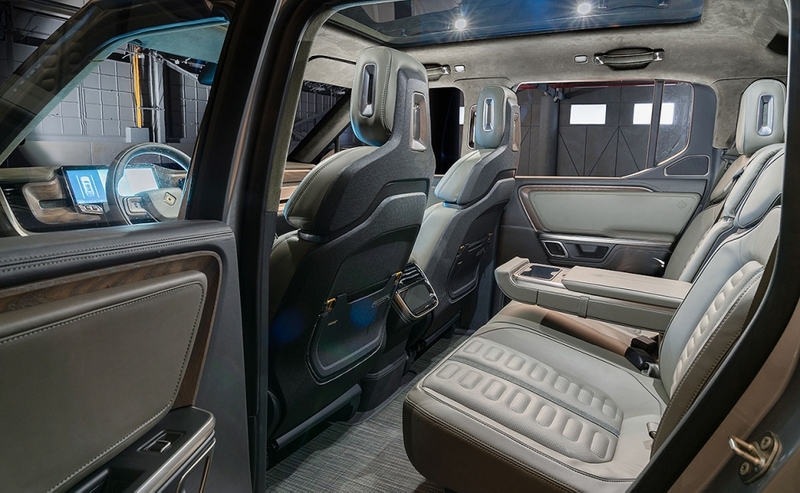 Rivian says the pickup's interior, with room for five, was inspired by contemporary furniture, but also hiking and outdoor gear. In keeping with an active lifestyle ethos, the company noted that the interior features easy to clean materials. 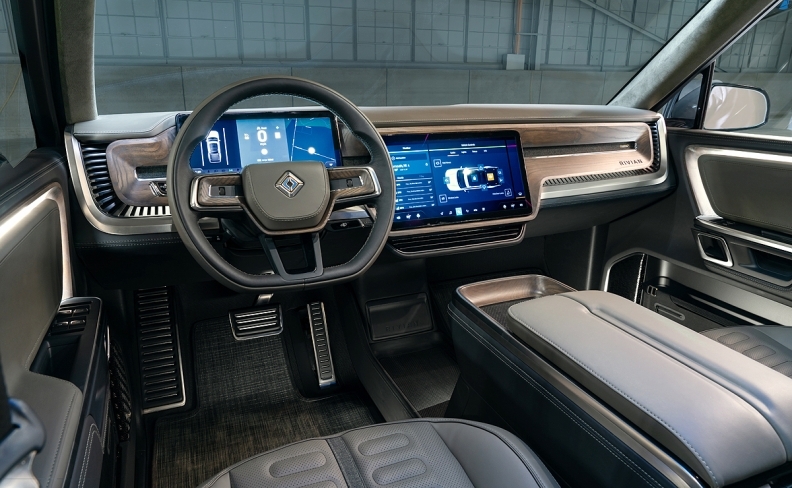 The company's strategy will focus on vehicles made for the outdoors, more functional than current offerings from the likes of European carmakers, Cadillac and its startup EV competitors. 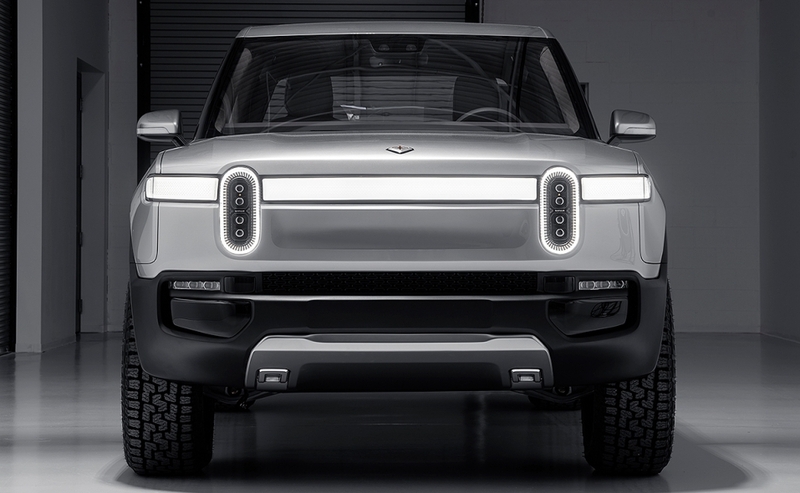 Rivian has dubbed its first two models as "electric adventure vehicles." Scaringe has said that Land Rover will be the brand's closest competitor given they're "both premium and adventure." Rivian also noted that lidar, radar, ultrasonic and a high precision GPS with high definition maps will be apart of the R1T at launch. The company said this combination of technology "enables Level 3 autonomy for highway operation." In terms of size, the R1T is similar in size to that of the Chevrolet Silverado and Ford F-150. The four-door R1T checks in at 215.5 inches long, has a wheelbase of 135.8 inches, is 79.3 inches wide and 71.4 inches tall. 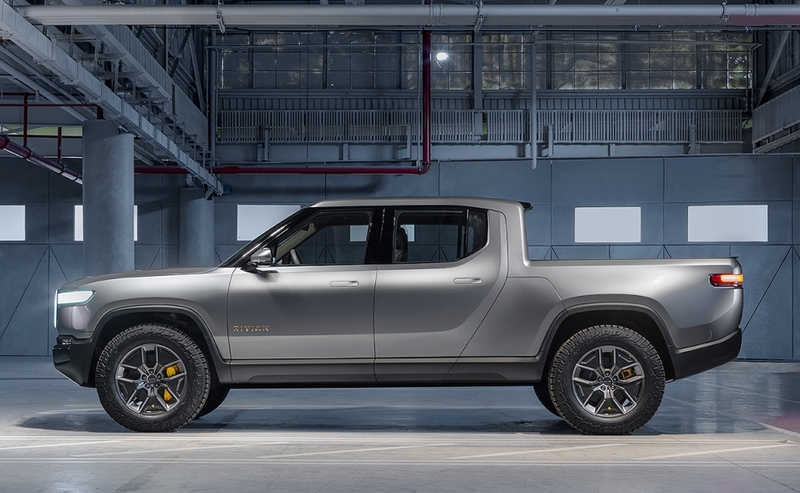 With the tailgate up, the pickup's bed is 55.1-inches long, Rivian said. For comparison, the 2019 Silverado regular cab with a 6-foot 6-inch bed is 210.7 inches long, has a wheelbase of 126.5 inches, is 81.2 inches wide and is 75.7 inches tall. A 2019 F-150 regular cab with a 6-foot, 6-inch bed is 209.3 inches long, has a wheelbase of 122.4 inches, is 79.9 inches wide and 75.5 inches tall. 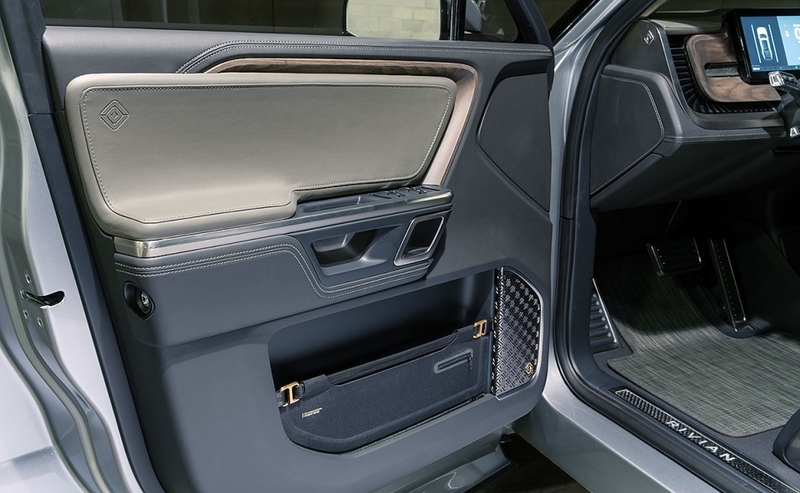 Thanks to the R1T's design, Rivian was able to bake in additional cargo capacity in the front trunk with 330-liters, and also in the bed itself. The R1T's "Gear Tunnel," which runs from side of the vehicle to the other, has 350-liters of cargo space. Beneath the bed floor is a 200-liter sealed bin, the company noted. Rivian said the R1T will be able to tow 11,000 pounds.